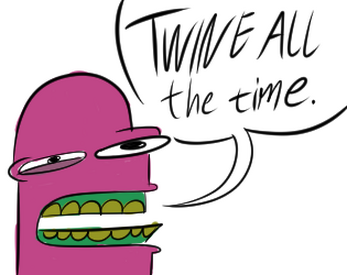 All Twines All The Times! Remember when Twine was THE LATEST tool to free us from the evil complexity of programming and sprite artistry!? Remember when people were people, no one knew anything, the documentation was written for NERDS and we made due with Hyperlinks and black backgrounds until people with BRAINS came and addedd FEATURES and GUSSIED UP the visuals!? I SURE AS HECK DO! The following collection contains all the twines made from like...i dunno from like 2012 to 2014. Basically it contains some of the earlies twines at http://philome.la/limbclock but not some of the latest ones. It also contains a few prototypes and get-my-feet-wet games made for LDJAm etc. And some bits and bobs that weren't RELEASED, per se. Just when i thought i was out, they pull me back in!! !